Turck has developed the next big thing for control: the Field Logic Controller (FLC). Turck’s FLC solutions are made possible by ARGEE (A Really Great Engineering Environment), a revolutionary web-based programming environment that allows users to set conditions and actions directly at the field level. 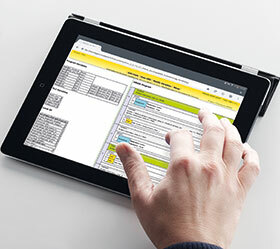 By utilising HTML5, Turck provides a complete engineering environment for users to write, run, simulate, debug, and monitor code, all without requiring the use of a PLC. • Be used without a PLC in standalone applications. • Perform arithmetic functions, use timers, counters, and even toggle bits. • Share data with a PLC via assigned I/O variables. Using a simple ‘Condition” and Action’ principle that is integrated into a flow chart user interface, ARGEE allows users with little or no programming experience an easy way to configure and program their Turck FLC devices. ARGEE challenges what an I/O device can do, by creating a hybrid between simple block I/O and higher level PLCs. The result is Turck’s FLC.